This webinar will include an overview of the MBA program including the history, mission, curriculum and structure of the program, as well as information about the value proposition of the student centered / business mentored N.C. A&T MBA and how to apply. A completed and signed Graduate School Application for admission. Official college transcripts from all higher education institution. The GMAT or GRE score will be considered. However, if the applicant has an undergraduate GPA of 3.30 or higher the GMAT or GRE examination is waived. TOEFL score, IELTS scores or other proof of English language proficiency (required of all international applicants). Students claiming in-state residence must submit the residence form. Completed application packages for admission to the fall semester must be submitted to the Graduate School by June 1. Applications for admission for the spring semester should be submitted by October 15. Applications for admission for summer sessions should be submitted by April 1. Click Here To Apply for the MBA Program. 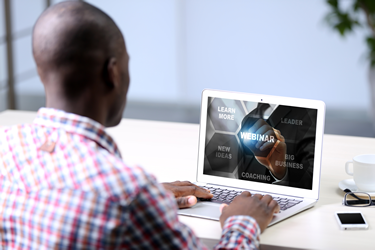 After the webinar, return to out portal to learn more about our exceptional, accredited, affordable MBA program.